There are many kinds of bicycles on this planet, and many places to ride them. And there are many kinds of people on this planet. When people come together in social life, they create culture; they share ways of being, ways of thinking, meanings, practices. What happens when different people come together on different bikes in different places? They make different bicycle cultures. There are more than roadies in spandex and hipsters on 1980s road bikes, there are day laborers riding mountain bikes on sidewalks, there are teenagers riding fixies in packs, there are parents riding with their kids, there are immigrants who bike in U.S. cities because they biked at home. For many people biking is one aspect of a multifaceted shift in how we live as Americans; for others, it is a toy or a temporary vehicle. What happens when different people come together on different bikes in the same places, but we have a narrow definition of what a bicyclist can be? Some of them become invisible. An important part of promoting diversity in bicycling is recognizing that there are far more people using bikes now than fit into the types we associate with "bike culture." I knew about bike culture before I felt like I was part of it. When I started riding in Portland in 2005, I didn't make any new friends through biking, though I saw a lot of people who seemed to know each other on bikes. On my first big group ride in Los Angeles, the Midnight Ridazz All-City Toy Ride in 2007, I remember feeling like an outsider looking in on some cool party to which I didn't have an invitation, even though I was an experienced bike commuter. These people were part of a network and I wasn't. And then, over time, I became part of a network, and I didn't feel like an outsider anymore. I felt like a bikey person. 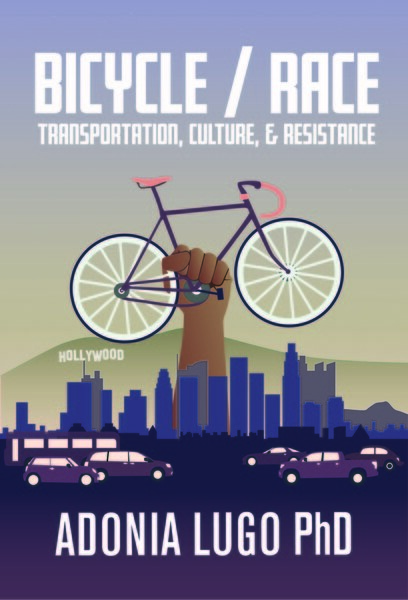 When I started my dissertation project on bikes in Los Angeles, I thought about creating a taxonomy of bike people, but I wanted to avoid the cartoonish caricatures I'd seen, diagrams that asked, which kind of bicyclist are you? I wanted to study people who rode bikes but weren't participating in my subculture, which has been and continues to be documented and discussed by many writers and artists in zines, on websites, and in books. I was mainly interested in the contrast between what I was thinking of as "intentional" cyclists, people like me who choose to bike for eco, political, and other reasons, and "working" cyclists, people who bike out of economic necessity. Another term for the latter group is "invisible riders," which LA writer Dan Koeppel used in a 2005 article. What I found out through ethnographic research and living in LA was that these invisible riders had a network among themselves, bike shops they frequented that my friends and I did not know about, and techniques for avoiding police harassment. I learned these things through working on the City of Lights/ Ciudad de Luces outreach project, which I co-founded with Allison Mannos and Andy Rodriguez in late 2008 to connect Latino cyclists with the bike movement in LA. From what I've witnessed, it seems like we are still learning how to understand that there are multiple things happening on bikes, so I got together with some other bikey researchers to start the Bicicultures Project. Bicicultures aims to shed light on the many bicycling cultures taking place alongside each other in our cities and towns. It's a network of scholars who study bicycling as a social and cultural phenomenon, and many of us ride bikes too. "Bici" is Spanish for bike. We're still figuring out what shape it will take, but we plan to share our work with the public. 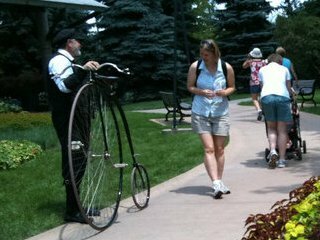 Since I started doing bike anthropology in 2008, I have been gathering photos that show many different contexts where people use bicycles. Some pictures show different images of bicycling than I have encountered in mainstream media and in bicycle promotional materials, and some show the DIY bike culture that's my home. Below are a few images that portray everyday bicycling as I have seen it. More pictures and information here.